But fortunately, there are solutions. And today – let’s focus on the best 10 alternative treatments for rheumatoid arthritis in hands. Note: I’ve tried all of these treatments myself, so they’re based on my personal experience. My top recommendations are the ones that worked best for me, so make sure you check out the top 3 treatments. Though not all people agree with it, going gluten free can sometimes help. But only in certain cases. Because it could make your RA easier to treat. If no medicine can cure the pain from your hands – gluten allergy may be behind. When you have RA, you have chronic inflammation. Most of your joints are constantly swollen. So eating gluten-rich foods will make you feel worse. There’s no blood test that can determine that. So all you can do is to follow a gluten-free diet for a few weeks. If your health improves, it’s surely the allergy behind your pain. Once you solve that allergy, your arthritis will get better. But if you don’t get any improvement, you’re surely not allergic to gluten. In this case – you can move to #8. Now – going gluten-free can be really hard, especially in the first days. But at this point, there are lots of products without gluten. So it’s a lot easier than 5 years ago. Try to go gluten-free for 1 or 2 weeks and see if there’s any improvement. If it is – you will see that it was worth the hard work. I personally don’t consider it a great treatment – but acupuncture might help. But not everyone – just certain people. If you have no gluten allergy, it’s your RA causing all the pain. it involves inserting small needles under your skin. Now – scientists can’t really tell how acupuncture relieves the pain. But one thing is clear. In some cases, acupuncture can really relieve the pain from RA. In others, it can’t. First of all – it doesn’t work for everyone. That’s the #1 downside. Acupuncture itself doesn’t treat arthritis at all. In fact, it doesn’t even improve the condition. The only thing it does is masking the pain. Even though that’s a great thing, your arthritis is still progressing. Also – the actual inflammation is still there. So acupuncture is similar to pain relieving creams. They can bring relief for a few hours – but they don’t treat the real problem. So using only acupuncture (no matter how useful it is) – will only worsen your condition. I tried it myself and it did help, but only for a while. Considering the sessions were quite expensive – it was pretty useless, if you ask me. However, there are some people who had better results for a longer period. For this reason, acupuncture remains a worth trying alternative treatment. It’s only important to see if it has positive results for you or not. That’s actually one of the most popular remedies when it comes to arthritis. Too bad it’s not the most potent one. You can use them at home. There are lots of oils available everywhere. Very low price and expenses. On the other hand, acupuncture can be quite expensive. So do essential oils really decrease the pain? Well – some do it better, others do it worse, but overall they do help. It also depends from person to person. The best essential oil I know is probably CBD – because it’s meant for pain. It’s made from marijuana – which is also great for relieving pain (not the same part used for drugs). However – regular oils work just as well. So in case you don’t have any essential oil – use Coconut, Olive or even Castor Oil. So as an alternative treatment, essential oils are great. But as a lone treatment – they’re surely not. They did what they promised – relieving the pain. But this relief only lasted a few hours. So I had to reapply the oils several times a day. If you count that I had to wait about 30 minutes until they soaked in – I was really losing a lot of time. Therefore, essential oils are a great alternative treatment – but unfortunately, it’s too short to be any good. However, I really advise you to try them at least once. Here’s another really popular remedy for arthritis. I personally know a lot of people using it – and not just for RA. So what’s so special about fish oil? Now – the best thing about fish oil is that it works in most cases. You only have to consume it daily and it will do all the work. Fish oil can’t decrease the arthritis pain all alone – especially if you have a strong inflammation (like in RA). However, it can be a long-term help – unlike acupuncture and essential oils. The best way to get this oil is directly from the source. But unless you live near the sea, you can’t have fish in every meal. But once again, keep in mind that these pills alone won’t cure you pain. You also need a stronger treatment (supplements with anti-inflammatory herbs work best). Now – this remedy really helps, especially if you have a milder form. But if your arthritis is more severe (like mine), associating it with stronger supplements should work much better. Based on my experience, turmeric is the best herb for inflammation and RA (much stronger than fish oil). So taking them together should be better than taking Omega 3 alone. First of all – what is this thing? Well, it’s some sort of physical therapy done by a specialist in that condition. In this case, it would be arthritis. Physical therapy works great for knee of leg pain. However – the effects for hand pain aren’t so amazing. On the other hand – occupational therapy works much better even for hands. Shortly – things that you can practically use. You can also use certain joint pain hacks for everyday activities that seem difficult. As you might expect – occupational therapy is pretty expensive. The therapist only handles one person alone, so the costs are obviously higher. However – sometimes you can get discounts for one or several sessions. It depends on your medical insurance company. I tried occupational therapy as well – but the advice I received wasn’t extremely valuable for me. I could already do enough everyday stuff myself, so I could manage well enough. Otherwise, if you learned to do the basic stuff – I believe it’s not worth the money. But as an alternative treatment, it’s surely an effective one. If you’re a fan of meditation and exercising, yoga can be a great help for your RA. However – it helps more in terms of relaxing than actually relieving pain. And overall, the effect is about the same in both. Yoga is more of a mental reliever, while acupuncture decreases the pain for a short while (only in some people). Basically – your joints are still swollen and painful. But you simply don’t feel the pain as strong as before – it’s a mental thing. I did try Yoga myself – but the results weren’t amazing. My joints didn’t get any better in terms of swelling – nor did my pain go away. However, I did feel a lot better speaking of energy and general shape. So I do recommend Yoga – but not as a real treatment. As an activity, it can take your mind off the pain and give you a boost of energy. Most pain relieving creams are based on menthol. So what exactly can this substance do for RA? Let’s take the first one – because it’s also the easiest. You’re not really applying the menthol in this way – but the effect is still useful. You can also make a menthol paste and apply it directly on your hands. Add the crystals in a bowl with water. Mix them until you get some kind of sticky paste. Within 15 minutes, you should experience a fast relief. Now – its effect lasts longer than essential oils, that’s a fact. But even so – it’s not the best choice on the long term. Sure enough – you can use creams, just make sure you’re also using an internal treatment. Supplements are my top recommendation, because their effects are on the long term. What exactly are these enzymes? It’s quite simple – some compounds with several major benefits for pain and arthritis. So what do these enzymes have to do with arthritis? How can they affect the pain level? They fight inflammation through several mechanisms. So you’re not counting on them just for one thing. Fortunately, our pancreas produces a pretty large quantity of proteolytic enzymes. So basically – we get them naturally. So if I were you, I would definitely give these enzymes a chance. They can’t make miracles alone, but they can be a great alternative treatment for your hand pain. You surely know about Cayenne pepper and its benefits in inflammation. Well, whether you tried it or not – it’s a really powerful remedy in terms of relieving pain. Cayenne pepper contains capsaicin – the substance that gives its spicy taste. Your skin starts feeling hot and tingly. That sensation goes away pretty soon. Instead, you start to experience a numbing feeling. What’s interesting is that capsaicin doesn’t work by numbing the pain. That’s what makes it different from essential oils (that only mask the pain). Since it’s only applied on the skin – the relief won’t last forever. In fact, capsaicin patches are another temporary remedy. However – among topical pain relievers, capsaicin is the strongest remedy. So I really recommend you to try the patches if you like skin-based remedies. In fact, instead of using essential oils, try the patches instead. You only need to apply them and you’re done – no massage, oily skin or anything. This is by far the best remedy for RA or chronic inflammation. Turmeric makes wonders for inflammatory pain. Plus – natural diet prevents chronic swelling. So the benefits of this combination are huge. Decreases the level inflammatory molecules. No matter how many essential oils or capsaicin patches you use – they will never be as effective as turmeric. Also – it’s important to choose a supplement with bioperine (which increases the absorption of turmeric). I really advise you to take big care when you’re buying turmeric products. If you need a recommendation, that’s the product I’ve been using for about 2 years. I personally used this remedy – in fact, I’m already using it. The reason why it’s #1 on my list is because it was the best natural remedy for my RA. It was one of the few things that really worked for me on the long term. And I’ve heard a lot of stories that said the same. Believe me, this recipe is going to decrease your RA pain – but not just from your hands, from your whole body. Start with a gluten-free diet for a few weeks. In this way, you can find if gluten has any connection with your RA. If it does, try going gluten-free and see if your pain improves. If it doesn’t, try a real remedy. So try to choose wisely because there’s no time to waste. My Nature Bounty Turmeric Review – Too Cheap To Be True? I had juvenile arthritis since I can remember, so after growing up it turned into a chronic rheumatoid arthritis. I’ve always been on prescribed medication because my parents never believed in supplements and alternative therapies. You can imagine that I was always sick because of my lowered immunity, I suffered from terrible hair loss and my life was simply miserable. When I grew up, I started looking at what my family never had courage to try. Alternative therapies, herbs, natural remedies. They all helped me much more than prednisone and most importantly, I wasn’t feeling that sick anymore. So ever since then, I’ve been trying every possible alternative therapy I find. From the ones you mentioned, I tried acupuncture, yoga and pretty much every herbs you talked about. So thanks to your post, I’m now going to try gluten-free products. I don’t think I could have an allergy to it, but who knows? I really feel like I have to try this thing. Thanks a lot for all these recommendations. As I said, I tried some and they’re not hypes, they really help on the long term. Thank you. Hi Regina, that’s a very impressive story that you have! Unfortunately, many kids with juvenile arthritis end up getting RA after growing. You can’t really do much to prevent that. You definitely have to try a gluten-free diet for a few weeks. As you’ve had arthritis since your childhood, you could be allergic to gluten. If that’s true, giving up gluten foods should improve your condition and your pain visibly. I have another article that I think would help you. I tried to put together the hacks I used for my RA in the last years. I got some really nice tricks, so they might help you as they did with others. Let me know what happens in the future. Hi Heather, I read your article with much interest… Both my mom and my aunt complain a lot about their arthritis in their hands and I’ve got some too! However, it’s some other form of arthritis in all cases, not the rheumatoid kind. Nevertheless, it’s clear that these alternative strategies do help with all kinds of conditions pertaining to arthritis and joint pains. On the one hand, there’s my mom who will not try anything to help herself (how do I persuade her to try something?? 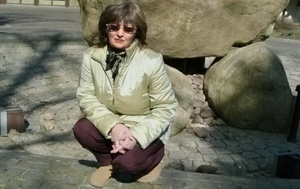 ), and on the other hand, there’s my aunt who will try just about everything. So I’m forwarding her a link to your post. It’s very informative because I didn’t know at all about capsaicin patches or that essential oils were important with this. It’s quite nice to have such an exhaustive list all in one place. I should bookmark it! Well, I think a low or free gluten diet is very beneficial, so I’m glad it comes first. But turmeric comes last and first at the same time, so I guess I’m going to try it! Hi Phil, it’s great to hear you found something helpful. I don’t really know how you could convince her mom. But you could try giving her a real life example of someone who got better after using a certain remedy. If you don’t know any person, just make it up. Tell her about a friend, a work colleague or someone you know and she doesn’t – and tell her that person used that certain thing and got much better. That should make her think twice. Regarding your question – turmeric is more helpful for inflammation. And from how you described your knee pain, it’s probably caused by a mild osteoarthritis. Compared to RA (which is caused by joint inflammation), osteoarthritis is caused by the damage of the cartilages around the joints. So actually – it’s not the joints that are in bad shape, it’s the cartilages. However, joints are affected due to cartilage loss – because friction comes up, and consequently pain. So as I said, turmeric works better for inflammatory pain. On the other hand, in OA you need something that rebuilds cartilages. 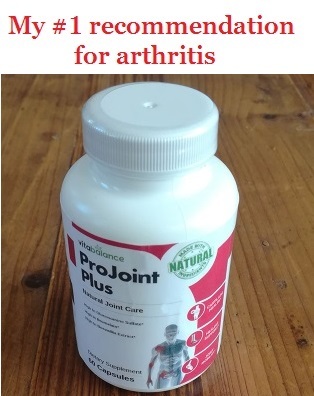 The best ingredients are glucosamine + chondroitin (used together). So basically, turmeric is for inflammation and glucosamine for damaged cartilages. Now – in OA you also have some inflammation, but not as much as in RA. But considering you have a minor form of OA, turmeric might help you (even a bit). The solution to this is bioperine – which is the extract of black pepper. This spice increases the absorption of turmeric by up to 2000% – which makes a big difference. Thing is – bioperine can be really toxic, so you have to use very low doses. Supplements automatically contain the right dose, but it’s really hard to take bioperine alone. The dose you need is so small that it’s really hard to get it exactly (about 5-10 mg). That’s why I don’t recommend using bioperine in food, drinks, etc. It’s really dangerous if you use more than 15 mg. So the best solution are turmeric supplements. I understand you don’t want to take extra pills, and I totally agree. But I’m just showing you which is the best solution. Anyway, you can still add turmeric to your food because you have nothing to lose. If it helps, great – if it doesn’t, that’s it. I simply wanted you to know which are the most effective options and which are not. I really hope this helps you.